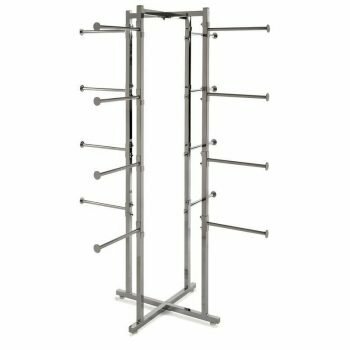 Introducing a commercial grade Z Rack for use in a limited space. We have affectionately dubbed it the “Z Rack Junior”. 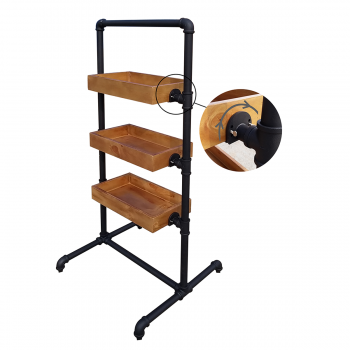 Perfect for use in store fitting room, basement, attic, loft, laundry room or any nook and cranny. The junior is 41″ long (versus 63″ for the standard Z Rack) and 24″W. 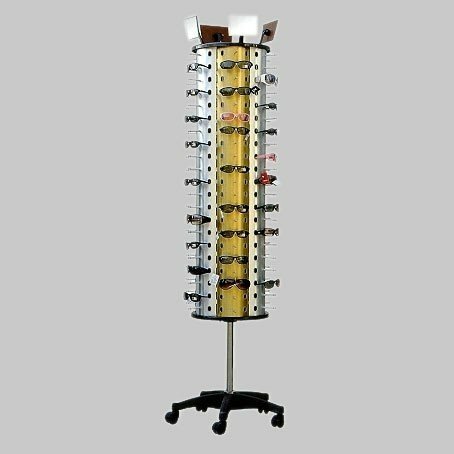 The total height from floor to top has 5 possible height settings – 47″, 52″, 58″, 64″ and 70″. 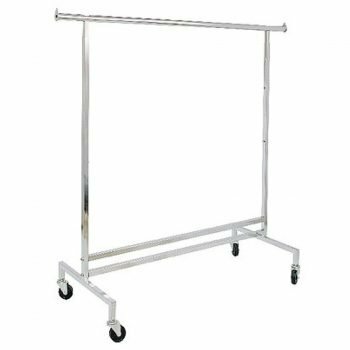 It has the same 400 lb load capacity as our full size Z Rack and comes with non-marring casters with 2 locking wheels. 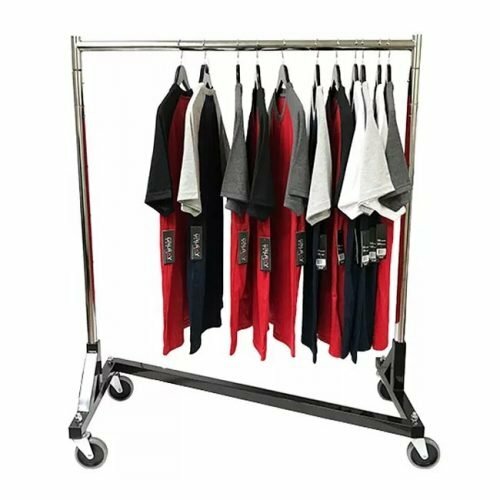 The garment rack comes with black base and chrome uprights and hang bar. Easily hang 30 to 40 garments in that previously unused corner of your house or apartment.